Croton is a member of a very large family of flowering plants called Euphorbiaceae, or most of us know it better by its common name of the spurge family. There are more than 7,000 members of this large family worldwide, including Castor oil plant, Poinsettia and Milkweed. Included in this spurge family are about 1,300 members of the croton clan, with about 20 of them calling Texas home, including Wooly croton. 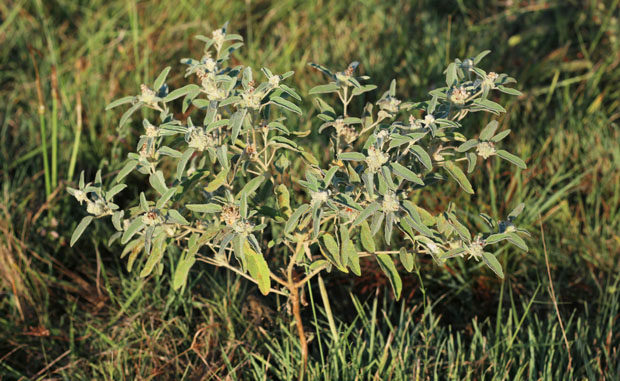 Wooly croton is common throughout the state but less common in extreme west and north Texas. Other common names of this plant include hog wort, hogweed, dove weed and goat weed.